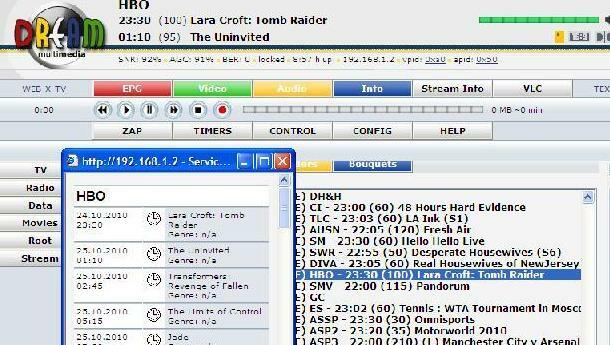 If you are owning a Dreambox satellite decoder and is anxious to figure out the channels’ program schedule, there is actually a way that you can retrieve that by simply accessing into Dreambox Enigma web interface from PC screen. On the main menu, click on ‘EPG’ and a new schedule list for that particular program channel will pop up and be displayed accordingly. Good thing is, it will show all the upcoming programs with up to 7 days in advance so that you can plan your time accordingly, either for viewing or recording at own preference. Do take note that it only displays program list with schedule for that particular channel and if you intend to find out more for other channels, just go to respective channels (controlled using remote control or Enigma web interface) and repeat step 5 will do. Hopefully this will simplify your TV watching planning with all your favorite movies schedule availability at your finger tip without the need to refer to internet especially when you are using card sharing to watch overseas’ channels that will unlikely to be available in local newspaper.